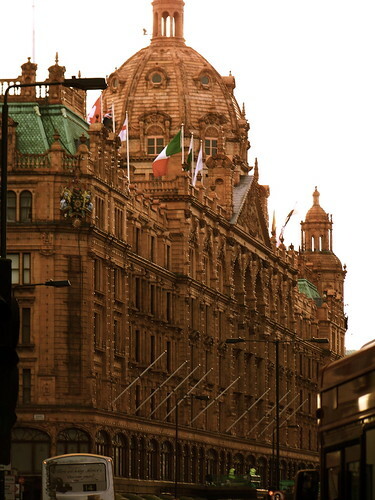 Another shot from London, this time the famous Harrods building. I think it is really impressive and simply a great piece of architecture. The typical London bus on the picture adds just the right amount of London-flair to the photo. ~ by Thomas Euler on 22/01/2009.